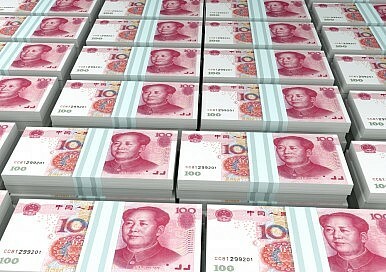 Officials from the People’s Bank of China insist the move was designed to bring the RMB in line with its market value. The devaluation on Tuesday was the result of a PBOC adjustment to the exchange rate formation mechanism, with the end goal of bringing the RMB’s value more in line with the market, Zhang explained. Prior to the change, the central parity rates for the RMB had drifted away from the actual market rate “by a large extent and for a long duration,” she said. Zhang also insisted that the currency as a whole remains strong, citing China’s “7 percent growth rate… increasing demand for the currency from overseas companies, abundant foreign exchange reserves, stable fiscal condition, and a healthy financial system” as factors keeping the RMB steady. Zhang told reporters that the adjustment to the RMB’s value was “basically complete,” in Xinhua’s words. Yi Gang, deputy governor of the PBOC, directly refuted that report, calling it “completely baseless.” PBOC “no longer regularly intervenes in the exchange rate but will continue to manage it, especially when volatility exceeds a tolerable range, to let market forces decide the yuan’s valuation,” Yi said. Analysts have long urged China to give market forces a greater role in determining the value of the RMB. in this instance, doing so also provides a boost to China’s exporters, making it an easier call for leadership. The real question is whether China can give up its addiction to government intervention when the RMB’s value becomes an economic issue.